In the first years of life, a baby’s changes in behavior are auto-piloted, out of Mom’s control. Watching your baby develop new actions and abilities is only possible through watching her changes in behavior. Nevertheless, these behavioral changes stem from fundamental changes in how your child is able to perceive the world. Understanding the areas in which she’s developing will not help you better appreciate her maturity, but will also cue you to any developmental problems or slowness. At around four months of age, a baby’s special perception abilities increase rapidly. During this time, a child will spontaneously interact with the objects in her environment, picking up and dropping spoons, grasping close objects, and reaching out to distant items. According Ellen Junn and Chris Boyatzis, developmental psychologists and the authors of the book “Child Growth and Development,” all of this represents an ability to differentiate distances and an ability to learn through feedback. Later, when a child learns to walk, he will employ these abilities in a greater extent, internally calculating how many steps it takes to reach on object of interest. Babies are born with the ability to distinguish voices but only later learn the ability to distinguish sounds. Though a baby has a “built-in” function to recognize the sound of her mother’s voice, she cannot separate the individual sounds of what she says. In other words, the three individual sounds in “I love you” are just a jumbled mess to babies, at least until the age of 2 months, when children now recognize each sound as distinct. Six months after reaching that milestone, a baby is already accustomed to the sounds of his native language, and internalizes that set of sounds as “his language.” This places him on the path to learning that specific language. The ability to perceive connections among objects comes at the end of the first year of life. The ability to deduce cause-and-effect connections is one of the most fundamental for life. As a child nears age one, he will begin acting in ways that spur reactions, such as by pushing a button on a toy to make it act. While rudimentary at first, this skill develops quickly, and you will witness your child becoming much more goal-oriented. Adults often take the abstract rules of our world for granted, but children actively develop a perception of them. Gravity, for example, is a fact adults and older children have internalized, yet children don’t understand this concept until around the halfway through their first year on Earth. 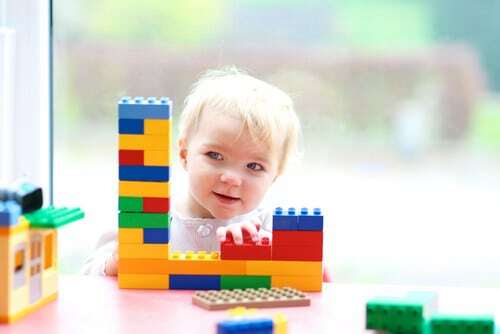 Through their first year of natural development of the brain and through experimentation, children begin to perceive other abstract concepts, such as the difference between animate and inanimate objects and the fact that objects still exist even when out of sight. And it is only after several years of life that children can think about objects not physically present.